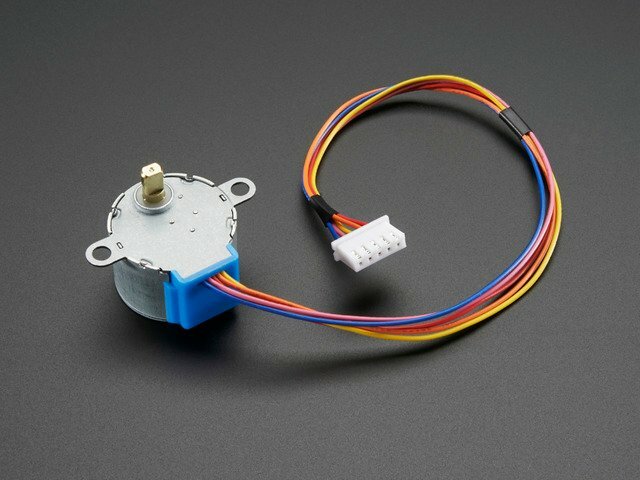 Will this motor work with my shield? 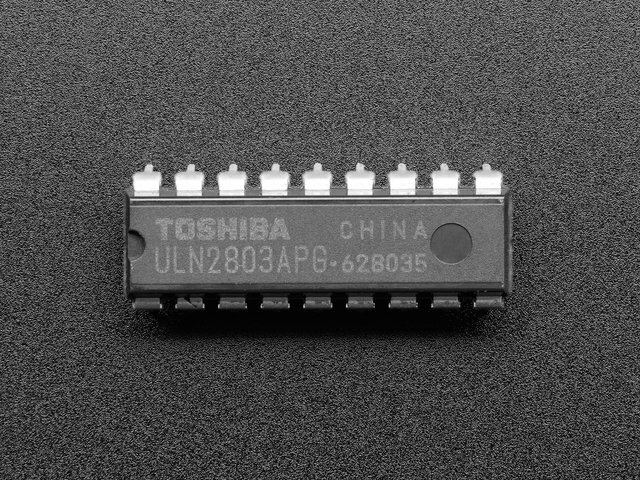 You need to know the motor specifications as well as the controller specification. 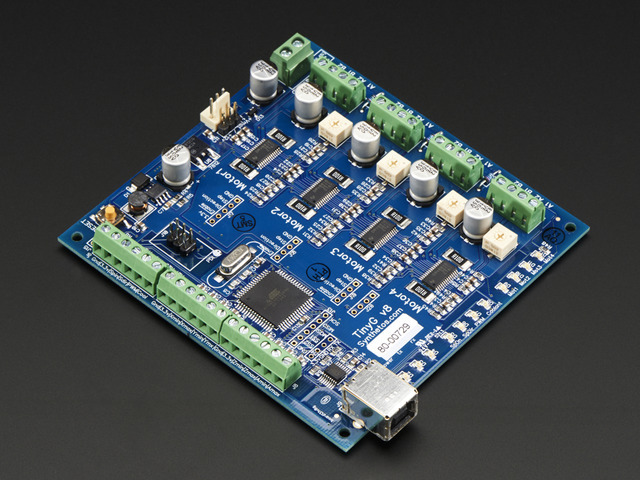 Once you have that information, check the "Matching the Driver to the Stepper" page to see if they are compatible. It's a NEMA 17, so it should work, right? NEMA frame-size standards only define the dimensions of the mounting faceplate. To figure out if it is compatible, you need to know the electrical specifications of the motor. What if there are no motor specifications? See Jason on reverse engineering the stepper wire pinouts. That will tell you the phase resistance. 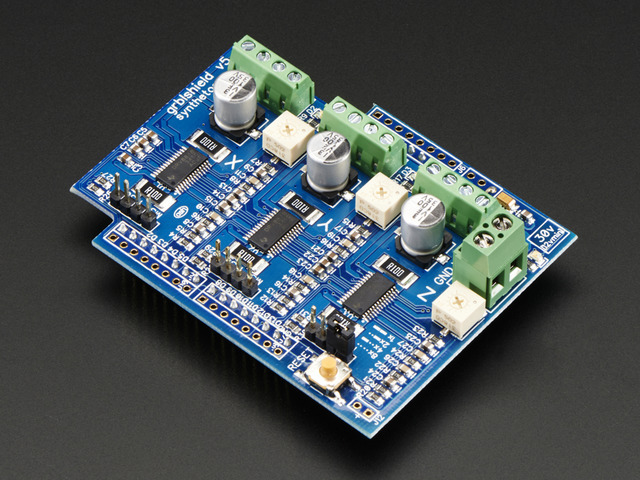 For phase current, you can estimate based on motors of similar design and similar phase resistance. When in doubt, it is always better to err on the safe side and use a lower current! 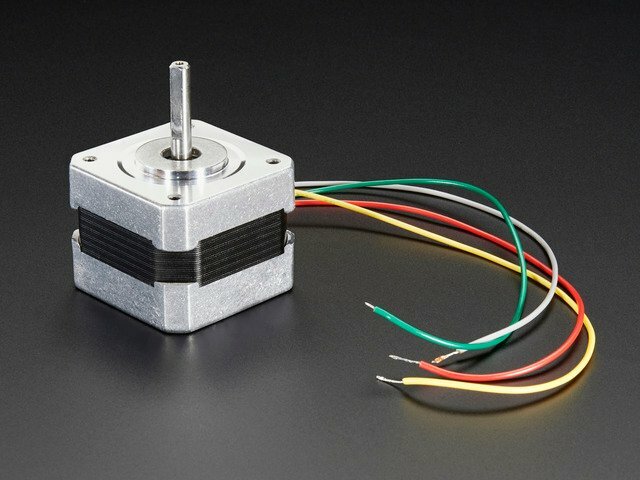 What size motor do I need for my project? Most motors have torque specifications - usually in inch/ounces or newton/centimeters. One inch/ounce means that the motor can exert a force of one ounce at one inch from the center of the shaft. For example, it could hold up one ounce using a 2" diameter pulley. When calculating the torque required for your project, be sure to allow extra torque required for acceleration and to overcome friction. It takes more torque to lift a mass from a dead stop than it does to simply hold it up. If your project requires a lot of torque and not much speed, consider a geared stepper. 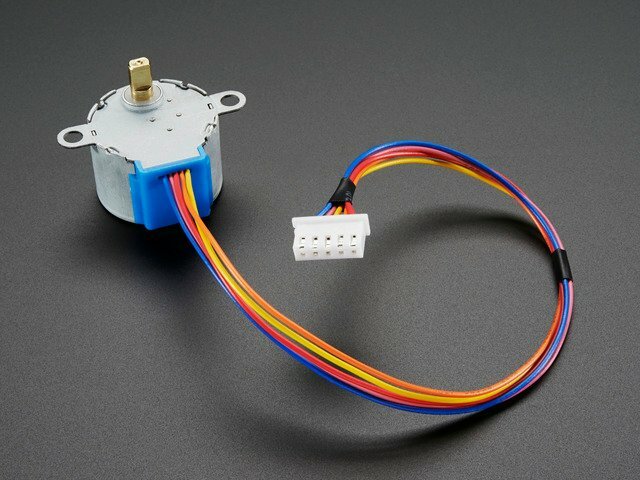 How do I connect my motor to the Motor Shield? 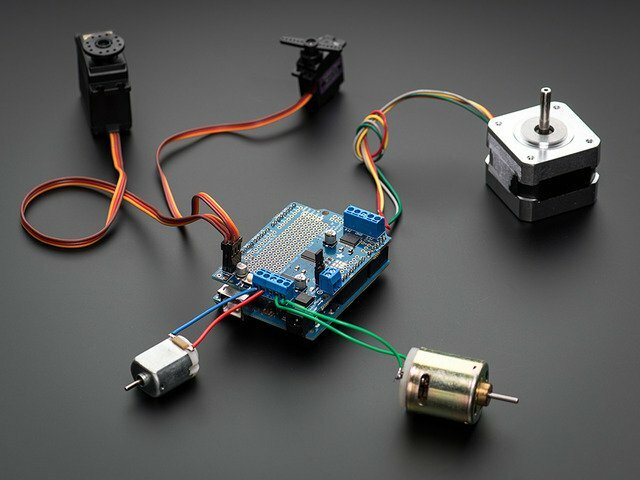 For motors purchased from Adafruit, there are wiring instructions listed in the product descriptions. For other motors, check the motors spec sheet if available. If you don't have a spec sheet, check Jason on reverse engineering the stepper wire pinouts. 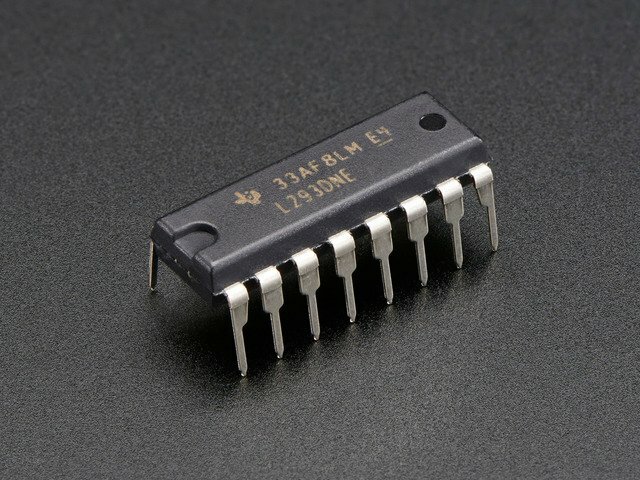 Will this power supply work with my motor? First make sure it does not exceed the voltage rating for the motor or the controller. * You can usually run a motor at a lower voltage, although you will get less torque. Next, check the current rating. Most stepping modes energize two phases at a time, so the current rating should be at least twice the current per phase for your motor. * This applies to constant voltage drivers. For chopper drive controllers, check the instructions for your controller. This guide was first published on May 05, 2014. It was last updated on May 05, 2014. This page (FAQ) was last updated on Apr 18, 2019.